While the STG partners with states and districts across the nation, Boston is our office headquarters. That’s why we had to share this report from the Hechinger Ed blog about how changing conditions in schools for teachers—not just school leaders—can lead to increased student achievement. 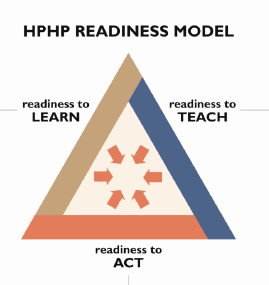 Their work hits upon two of the three points of our High-Performance, High Poverty Education Readiness Triangle: Readiness to Teach, and Readiness to Learn. These particular schools chose to undergo the turnaround process using the Teach Plus program. The program’s collaboration with Boston Public Schools is called the T3 Initiative. T3 trained experienced teachers with a history of raising student scores and placed them in six Boston Public Schools (Readiness to Teach), and also worked on improving the culture and conditions for students by providing health and wellness services (Readiness to Learn). Teachers also received increased professional development over the summer, and some Teach Plus teachers were placed in leadership positions within the schools. The greatest gains were seen at the Orchard Gardens K-8 schools where over one year, the number of seventh-graders scoring proficient in Math and English increased by 100%. Meanwhile, other turnaround schools in the state that did not change their conditions in this manner did not see great gains in their test scores. This example serves to emphasize the fact that when turning around a school’s performance, increased capacity (such as that offered by the T3 Initiative) and effective operating conditions can go a long way. So here’s our call to action: Successful turnaround goes beyond light-touch actions such as extending the school day. As we have said before, extra learning time must be time well-spent. The same goes for increased professional development. Staff development must be intentional and effective. The T3 Initiative’s success goes to show that when multiple aspects of turnaround are used effectively, students—who are the heart of education efforts—will benefit the most.